ODESZA. Does the name refer to a place? A seductress? An abandoned, sinking ship? (Believe it or not, it’s option c.) ODESZA’s music is just as feminine, abstract and starry-eyed as their name. In Return, their third official release, is full of atmospheric beats and chock full of other-worldly vocal effects. Dripping in the sounds of chimes, harps and digital rain drops, In Return has sounds that are perfect for a water nymph’s daily soundtrack. ODESZA has been around for barely 2 years. A team comprised of Harrison Mills and Clayton Knight, who met during their latter years at Western Washington University, ODESZA is a youngblood in the game where youngbloods dominate – the electronic music scene (i.e the twenty-somethings that are Disclosure and Flume). Their music does not fail to compete with the aforementioned producers – airy, light and completely fresh, ODESZA has a mellow sound that is nothing but pleasing. Unlike their previous releases, In Return is a vocally heavy album which is a welcome change from the limited voice samplings they’ve offered in their past 2 EPs. Featuring up and coming artists from surrounding areas, such as Washington’s Jenni Potts and Portland’s Shy Girls. Mills and Knight know they have a wealth of talent in their own backyard and use it well. Many of In Return’s tracks feature feminine vocals (with the exception of Shy Girl’s falsetto on the track “All We Need”) and seem to be influenced by what you could describe as fantasy sequences. 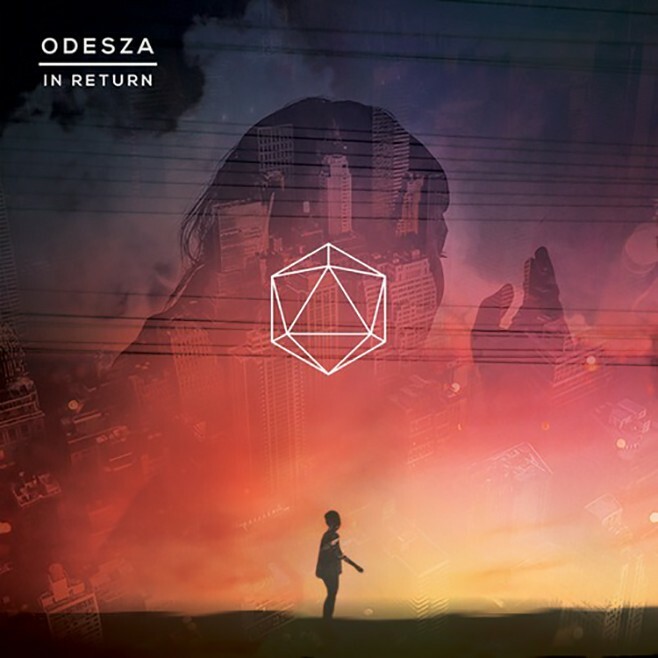 Most of ODESZA’s chosen vocalists for the album have a Blood Orange, The Weeknd, Jessy Lanza or Grimes-like sound, adding to the dreamy feel of this play list. Light bells, chimes, and not-too-heavy beats are also a common track characteristic here; most electronic music of 2014 feature heavier trap-like influences; this may be a quality differentiator for ODESZA. Travel is also a common theme; the track “Sundara“ is heavily Indian influenced with long, winding sitar solos. “Kusanagi“ is clearly of Japanese influence, and is a direct referral to the track’s name (a kusanagi is a type of Japanese fighting sword). Both tracks are obvious interpretations of each country – majestic, rich with history, complex. In Return, although not too far of a sound departure from ODESZA’s last release My Friends Never Die, is a fresh turn for the duo. Their choices in vocal artists were perfect for their selected tracks, and all songs chosen for this EP worked seamlessly together to project a dream-like state that some young music producers fail to convey as of late. Amazingly light and fresh, In Return is a galactic voyage through dewy meadows and iridescent oceans; it will not fail as the perfect soundtrack to a relaxing evening of star gazing.